Hi there TJ fans! I have a Valentine for you. The Technique Junkies Stamps I used to create this card were "French Sentiments Set of 4" , from the January 2019 Release and for the background, this awesome stamp, "Ornate Swirls" . To create this card, I used my MISTI and first stamped the "Ornate Swirls" on a cream colored card stock layer with a combination of Distress Oxide Inks. I was looking for a deep rose. After stamping in the "rose" combination, I then stamped again using a brown color Distress Oxide Ink creating the vintage look I was going for. 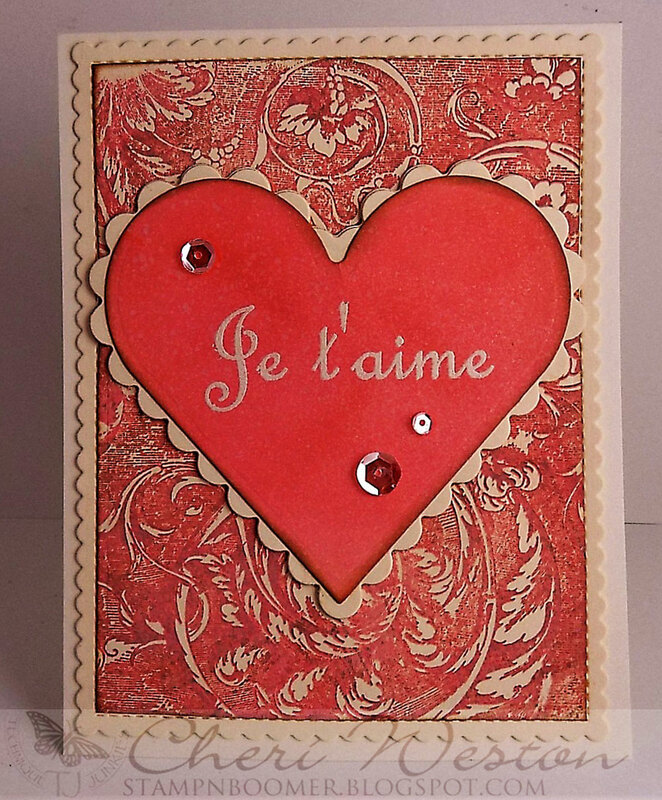 On another cream panel I heat embossed the word Je t'aime, from the French Sentiment Set of 4 with a cream embossing powder and inked over it with the same ink combination of colors. 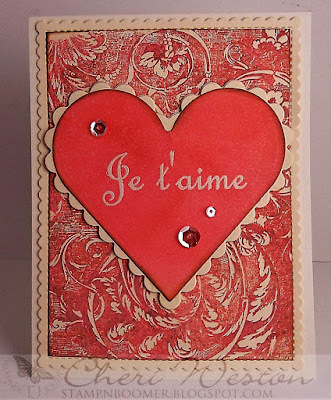 When dry, I used some older heart dies and cut the sentiment out as well as a scalloped heart to place behind it. I hope you found some inspiration here today. 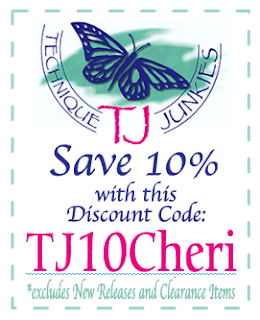 Thanks for stopping by and don't forget your discount on any and all Technique Junkies Stamps using my discount code!